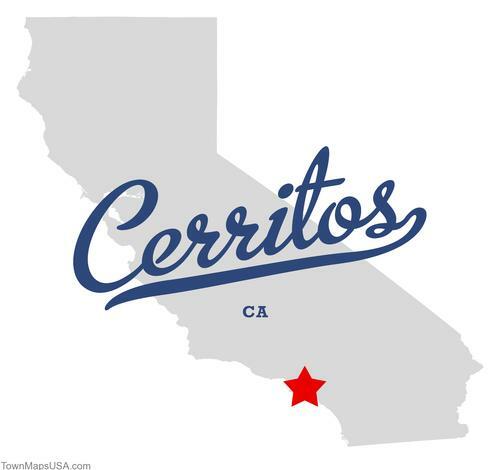 Based in the affluent city of Cerritos, Los Angeles County, California, and Home to an extensive list of notable residents including First Lady Pat Nixon, wife to the former President Richard. Once known as Dairy Valley because of the preponderance of dairy farms in the area, Vape Revolution is now serving its local Vaping community, indeed the entire United States, with some of the finest products on the Vaping market today. Vape Revolution has introduced an essence of style and refinement, the likes of which you would be hard pushed to find anywhere else. A tailor-made approach towards their clients is second to none, helping them to redefine their personal Vaping experience. Along with a prestigious and extensive product range, VapeRev has produced some of the most intuitive online videos to help their clientele select the correct product for them. This extensive collection of online videos ranges from, Vaping etiquette tutorials, to a personal customising service of your selected device, offered exclusively by VapeRev themselves, and, of course, the product line they carry for your vaping pleasure. VapeRev has asked me to review their Midas range of E-juices, an impressive range of flavours, catering for the needs of the most discerning customer. 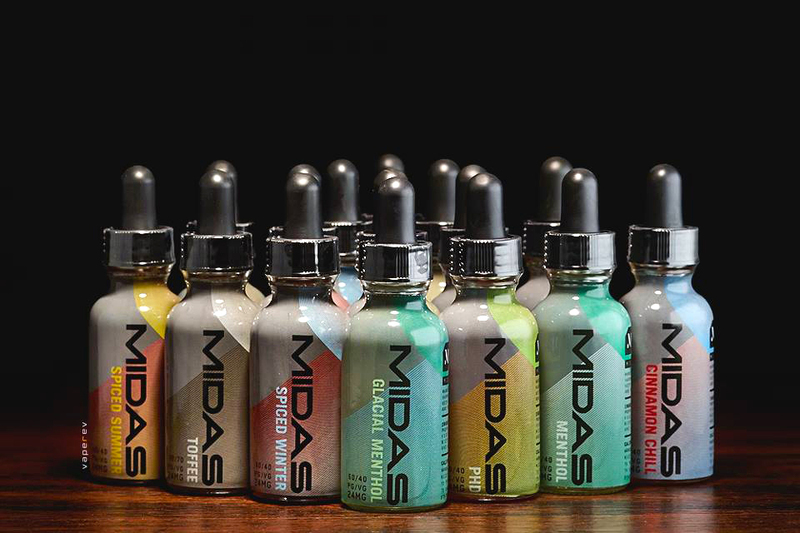 Carefully blended into a fine selection of different choices, Midas is hoping to touch the taste buds other juices cannot reach! 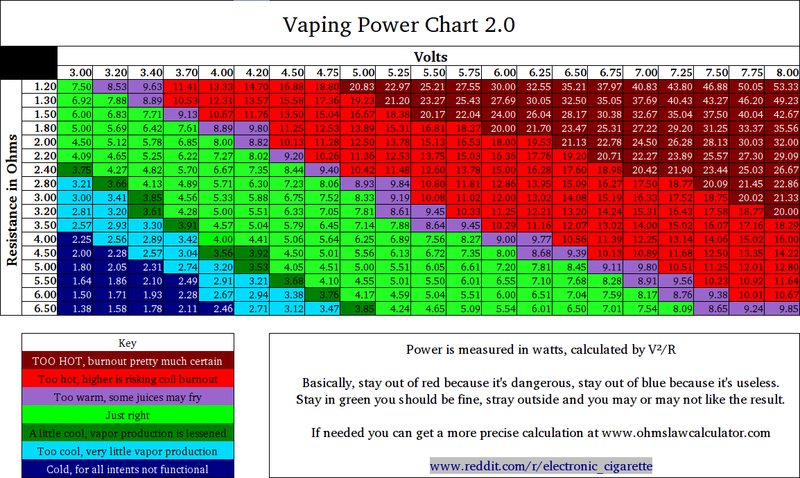 I have reviewed these juices over a period of two weeks on three different manufacturers VV/VW products, including devices from Innokin and ProVape, along with three different types of tanks from Aspire, Innokin and SvoeMesto in varying combinations, using the ranges suggested in this chart for consistency. This is a very refreshing and exciting choice of juices, particularly when you try the Glacial Inferno! with exotic mixtures, bringing a refreshing change to the familiar lineup of flavours seen in today’s E-juice market. With a choice of fifteen different flavours, including Cinnamon Candy, Pink Lemonade and Spiced Winter, this should give you some idea of the original varieties on offer from the Midas range. The Vanilla Cupcake provides an accurate representation of what I believe vanilla should taste like, with a sweet and pleasing aroma left behind which many people commented on, including non-smokers. Worth noting! PHD was an unusual choice of flavour to vape on with a combination of pear and honey, leaving a refreshing but subtle taste of both, inviting you to take another vape time and again. Peppermint Lime has that clearly definable peppermint flavour with a tang introduced from the lime, leaving you feeling revitalised. The perfect juice to vape on when starting out your day. Toffee was a relaxing all day vape with just enough flavour and not too sickly sweet. It left its presence clearly but was not overbearing, making it a juice that over time could become a firm favourite. A small suggestion here on my part would be to add just a little more flavour in this case. Both the Spiced Winter, Spiced Summer, along with the RY4 is produced for the discerning tobacco connoisseur clearly in mind. Apart from slight differences in the overall flavours, they leave a distinctive feeling of nicotine in the pallet, with a hint of chocolate in the case of the Spiced Winter, and Coconut in the Spiced Summer. The vapor production was satisfactory throughout the range, with the throat hit becoming more noticeable in the Cinnamon, Spiced and Menthol flavours, an additive used to help this sensation in E-Liquids producing that familiar kick to the back of the throat when inhaling a traditional cigarette. The balance was just about right for me personally, not too dry or too moist, which I feel should cater for the majority of people Vaping E-juices today. One personal favourite I enjoyed particularly in this range, and could happily vape all year round was the Spiced Summer. This is correctly titled if you live in warmer climes all year round. But across the pond here in England sadly this does not apply. So Spiced four seasons (at times, in one day) might be more applicable! Midas is a very good, and suitably priced range of juices that I have personally enjoyed using while conducting this review. It carries enough varieties of exotic flavours to make them just that little bit different from the norm, which was a pleasing and pleasant surprise. The glass pipette dispenser was a very useful inclusion, making it easy for filling your tanks, and for dripping as well. Delivery was made on time to me here in the UK and the juices individually bubble wrapped for added protection. My dealings with VapeRev have always met with a prompt and helpful response. As they clearly and quite rightly take great pride in themselves for guaranteeing customer satisfaction, I feel that any potential customer will be met with the same friendly and helpful response when contacting them.